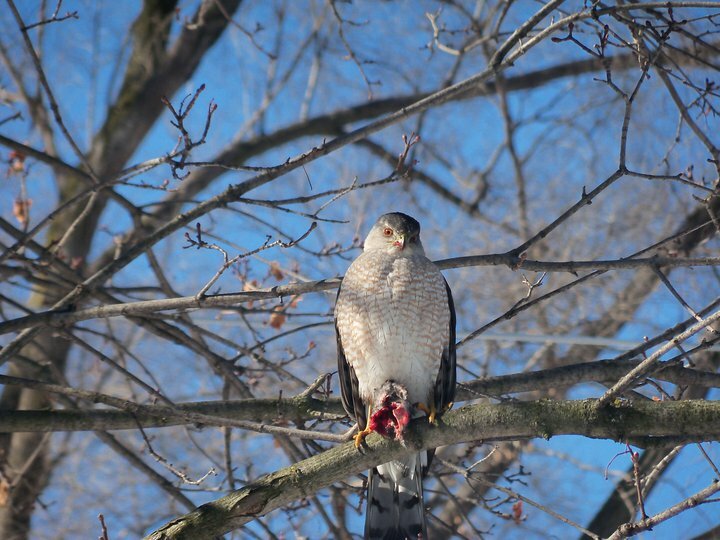 Cosley Zoo in Wheaton, IL, has some Cooper’s hawks eyeing their flock of ducks. Cooper’s hawks will also prey on chickens. For more information on measures taken to protect the waterbirds, read more here.